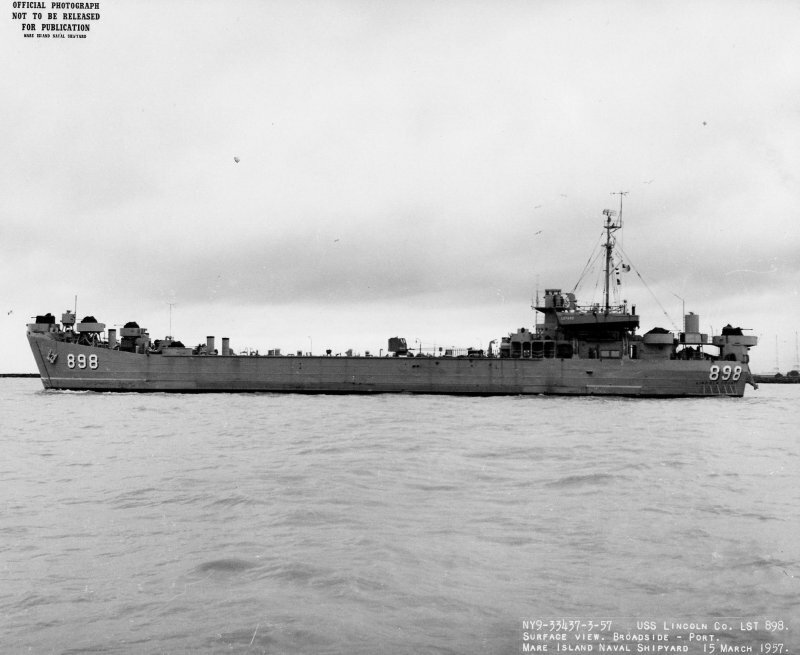 Laid down, 15 October 1944, at Dravo Corp., Pittsburgh, PA. Final Disposition, The Royal Thai Navy plans to utilize her as a firefighting training hulk at the Royal Thai Navy Base Sattaheeb. 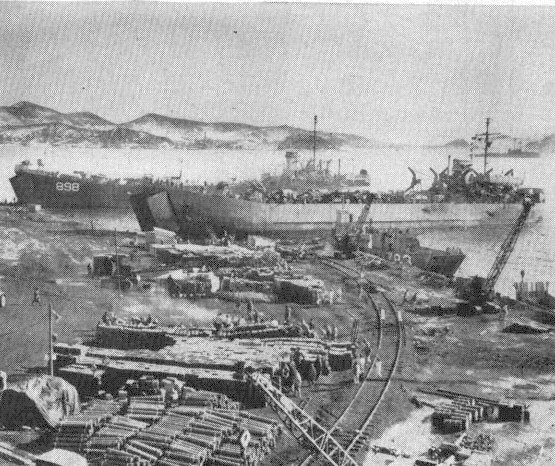 117k Hungnam waterfront during the evacuation of the First Marine Division, 14 December 1950. 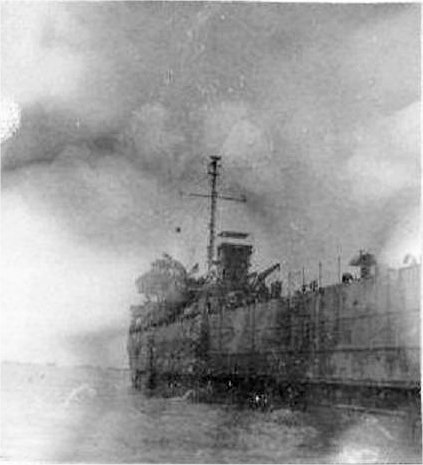 Identifiable ships present include: USS LST-898, at left; SS Canada Mail, extreme right; and USS Foss (DE-59), in the right distance, providing electric power to the port area. 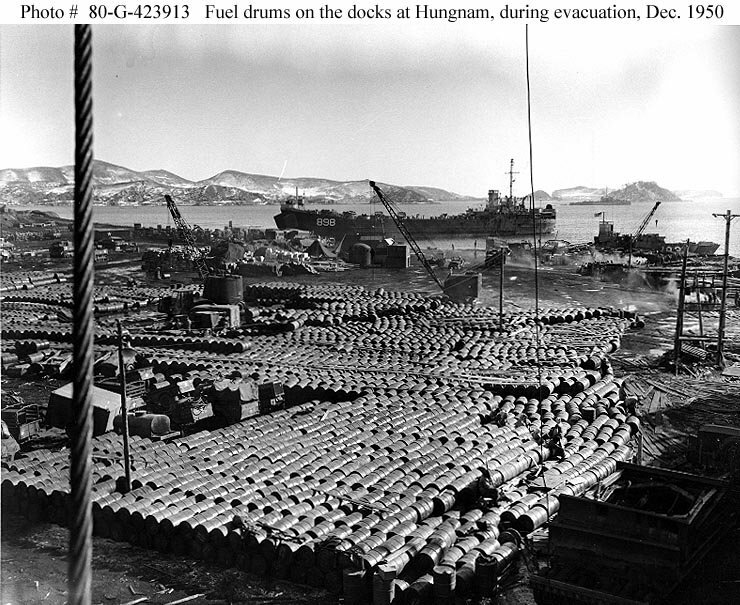 152k Hundreds of fuel drums await evacuation on the Hungnam docks, 14 December 1950. This view looks across the inner harbor from Blue Beach. 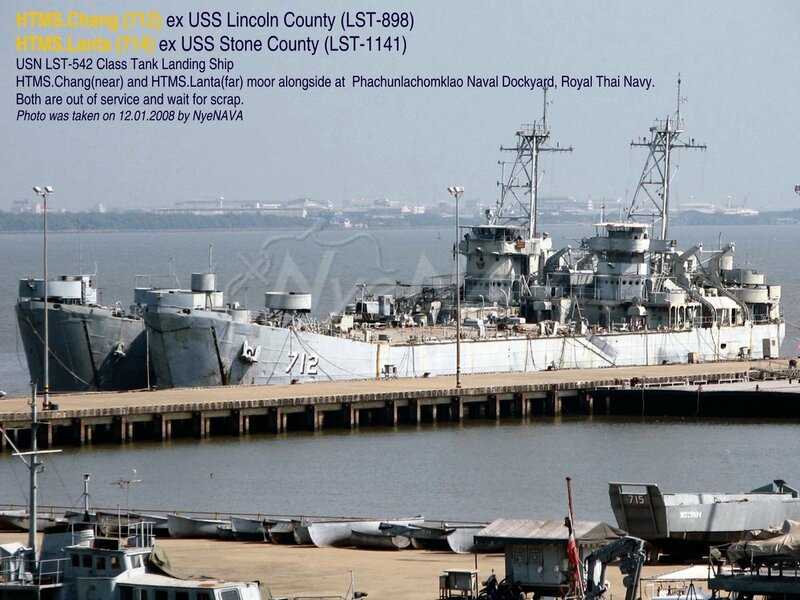 USS LST-898 is in the center, with an LSU at right and the harbor entrance control frigate (PF) in the right distance. 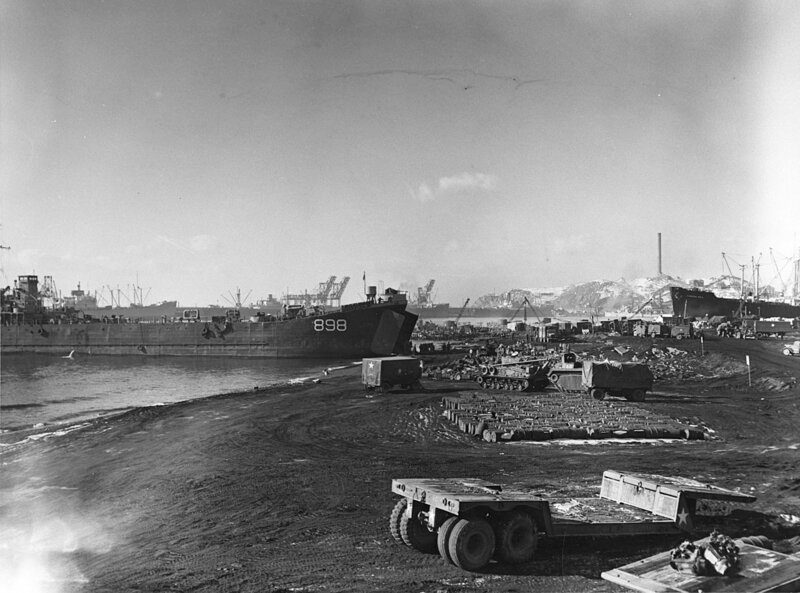 98k USS LST-898 beached at Hungnam, Korea, December 1950. with a Shipping Control Administrator, Japan (SCAJAP), LST (note no side number) and LSU-783, date and place unknown. US Navy photo from "All Hands" magazine February 1951 Joe Radigan MACM USN Ret. 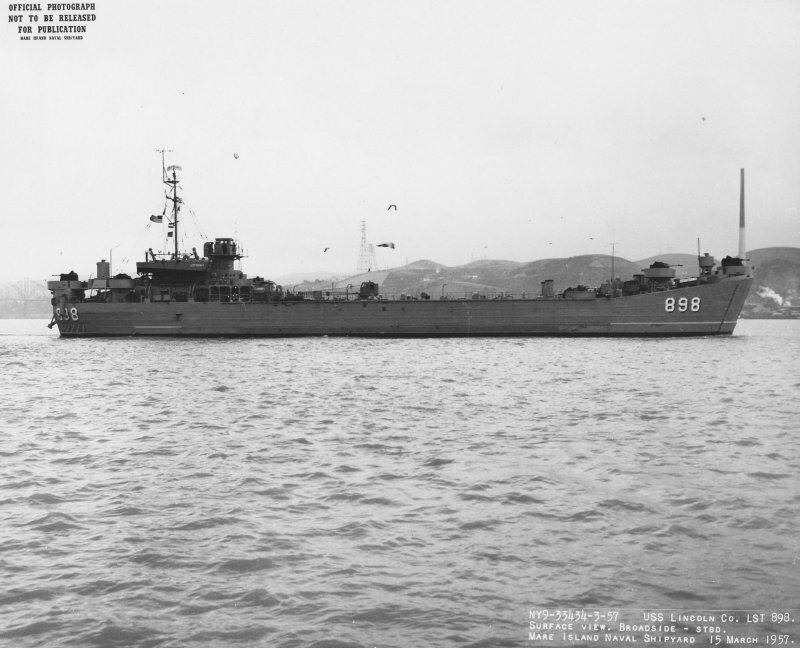 81k Starboard broadside view of Lincoln County (LST-898) off Mare Island Naval Shipyard, 15 March 1957. 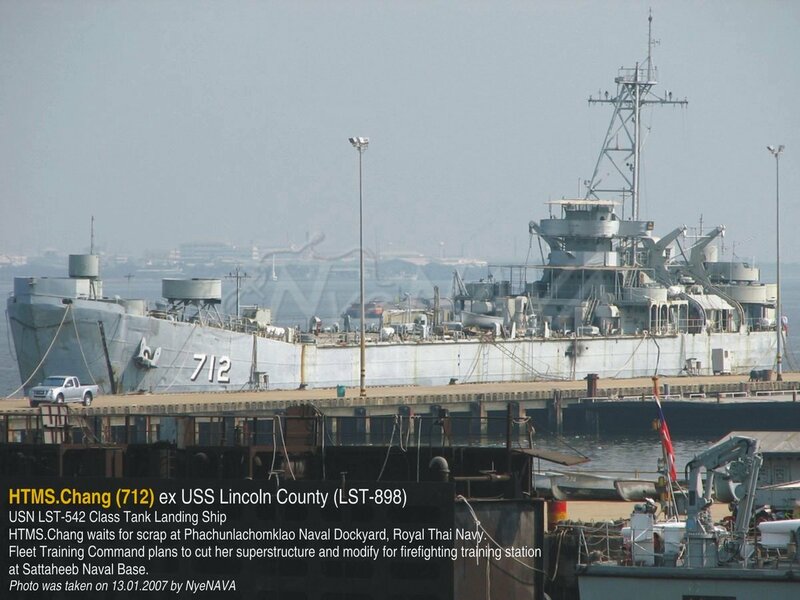 USS Lincoln County was under repair at Mare Island from 7 January to 15 March 1957. 65k Port broadside view of USS Lincoln County (LST-898) off Mare Island Naval Shipyard, 15 March 1957. 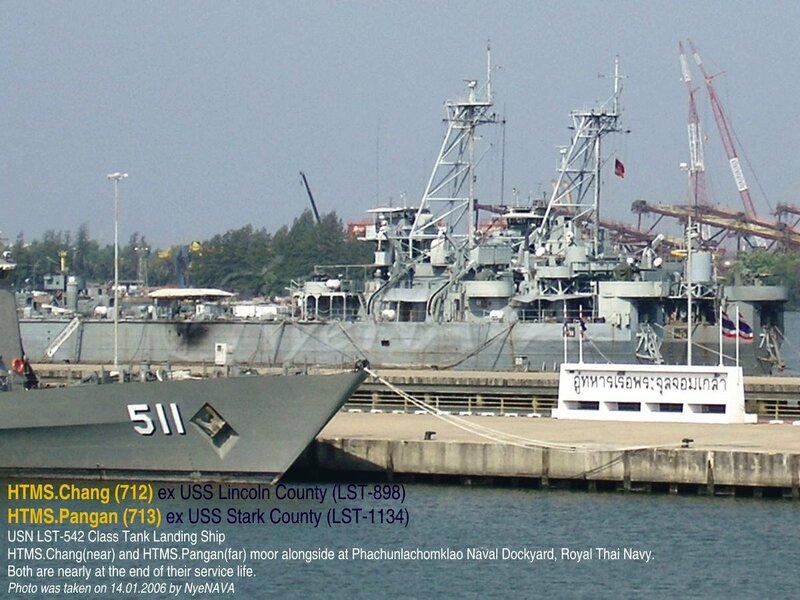 32k Ex-USS Lincoln County (LST-898) in Royal Thai naval service as HTMS Chang (LST-12), at anchor, circa 1965, location unknown.